You are here: Home / Electric Bike News / E-Bike News: Concept E-Bike, Pedego Trail Tracker, Belt E-Drives, Sales Up, E-Bike Action VIDEO! E-Bike News: Concept E-Bike, Pedego Trail Tracker, Belt E-Drives, Sales Up, E-Bike Action VIDEO! 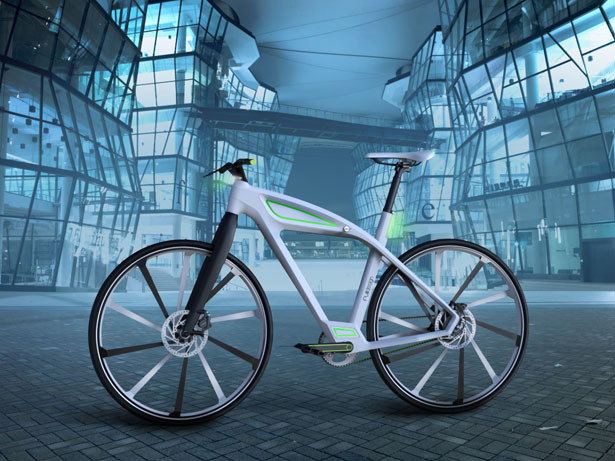 Checkout the concept eCycle from industrial designer Milos Jovanovic. It features batteries integrated into the top tube, mid drive motor, belt drive, and more! Speaking of belt drives: ContiTech Power Transmission Group and e-bike drive manufacturer Benchmark Drives, are working on the development of belt-drive e-bike kits for electric bike brands. Looking to add cargo capacity to your e-bike? Checkout the Burley Travoy trailer that recently arrived for testing and review. A German engineer is working on an electric bike / car hybrid that can seat 2 people…….sounds interesting. EcoSpeed mid drive electric bike kit. EBR correspondent, Paul Willerton, recently visited the EcoSpeed headquarters (mid drive electric bike kit company in Portland Oregon) and provided this report with lots of pictures! Let’s talk about the industry! E-bike sales are up significantly in Europe. And from my conversations with US e-bike CEO’s, it sounds like e-bike sales in the US are doing very well too! In a push to get the e-bike word out to the general public, Interbike along with 9 e-bike brands recently held a mainstream media event near LA where members of the press were educated about e-bikes and they had a chance to enjoy a few test rides. Thanks to EBR correspondent, Brett Thurber of The New Wheel e-bike store in San Francisco, for covering the event! Currie Technologies recently brought on e-bike industry veteran Daniel Shiau to be their vice president of R&D and product engineering. Hero Eco will be launching the A2B brand electric bikes in India soon. There will be a new e-bike show in Paris called eBikeTec. Shanghai is considering e-bike restrictions…..what? Are you considering becoming an e-bike dealer? If so here is an article about a successful e-bike dealer in the UK, Cycling Made Easy. And here is another compelling story about a new Pedego dealer in Seal Beach, California. Now let’s talk about off road electric bikes! 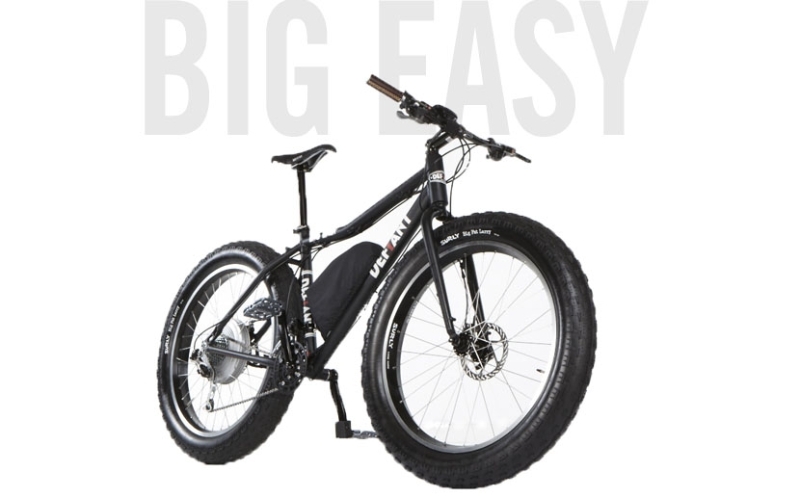 Here is a guide to a new niche in the e-bike world: Fat electric bikes! Speaking of these “Fat” electric bikes, Pedego recently released their new Trail Tracker fat e-bike. And while we are on the subject of off road e-bikes, here is the full review of the Emotion Neo Jumper full suspension electric mountain bike. Also…..here is first part of the Prodeco Outlaw SS electric mountain bike review with specs, a video and a bunch of pictures! To add some action to the mix, here is a video from Terry Hope who is working on his own mid drive e-bike kit set up as well as a solar panel installed on the bike. Looks like Terry is having a lot of fun! That’s if for now. Stay tuned for more e-bike news!